A new Hall of Fame will open later at the University of Limerick this month. Spillane: one of the first 16 inductees. THE UNIVERSITY OF Limerick is to open a new Sports Hall of Fame. 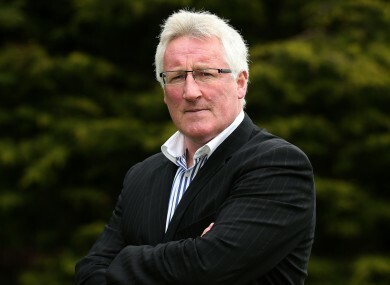 Kerry footballing greats Pat Spillane and Jimmy Deenihan and former Ireland rugby coach Eddie O’Sullivan are among the inaugural inductees who will be honoured later this month. In total 16 athletes drawn from the worlds of GAA, rugby, athletics and more will make up the initial selection with new members to be added each year. “These sixteen individuals will be remembered for their achievements, their commitment to excellence and the inspiration they provide to our next generations of athletes,” University President Don Barry said. The induction ceremony, which is part of the university’s ongoing 40th anniversary celebrations, takes place on Saturday 28 September in the University Arena and is open to all. Email “Spillane, Deenihan, Eddie: the first 16 names for UL's Sports Hall of Fame”. Feedback on “Spillane, Deenihan, Eddie: the first 16 names for UL's Sports Hall of Fame”.